Feathers are sacred items each Native American tribe holds dear to their hearts, whether they may be features in powwow regalia or for ceremonial purposes, or as a means of a blessing. Receiving a feather is like having bountiful blessings bestowed upon you. 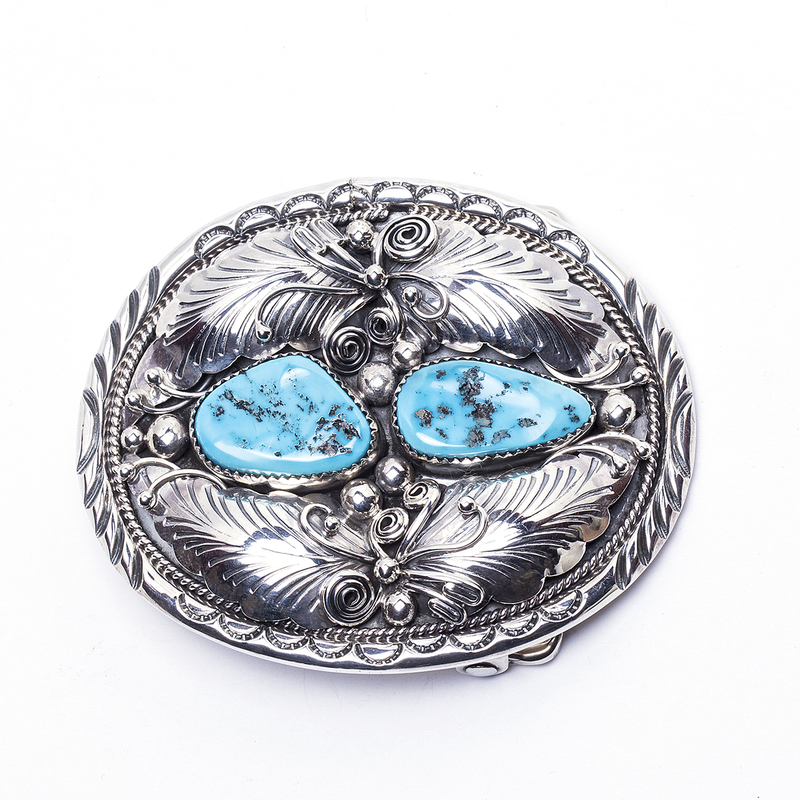 Featuring two Kingman turquoise stones surrounded by stunning sterling silver feathers, swirls and raindrops, the symbolism of this buckle is depicted beautifully by a proficient Navajo artisan and Silversmith! The buckle measures 2 3/8″ in height by 3″ in width, and will fit a 1 3/4″ leather belt. It is hallmarked “Sterling” and weighs 54.5 grams. We also offer free gift wrapping with each purchase. 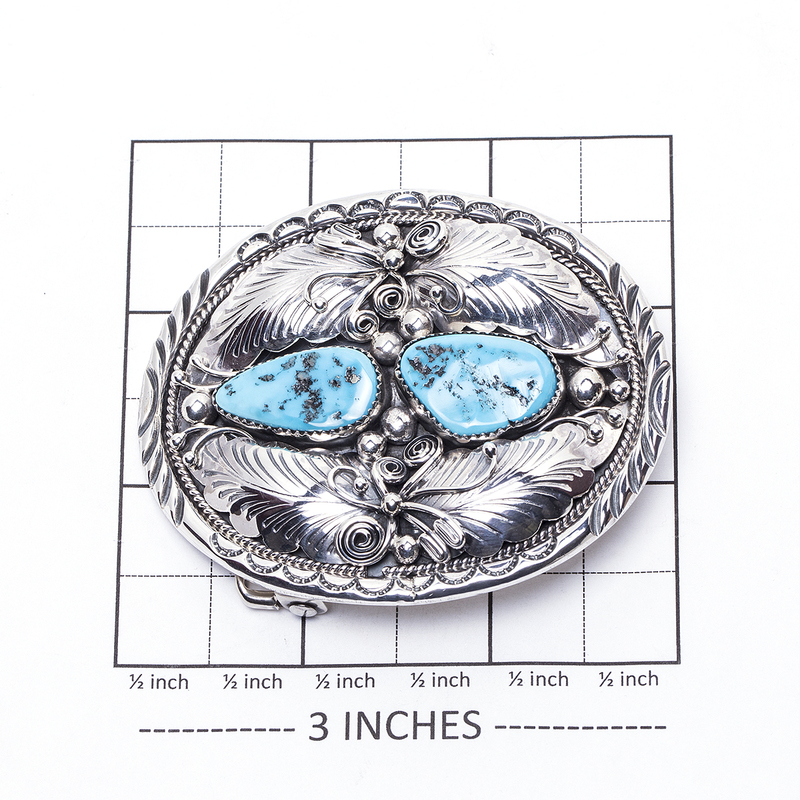 Navajo artist Turquoise Western Buckle is handcrafted in spectacular Sterling Silver and shows off lovely Sky Blue Turquoise by this gifted Navajo artist!